We celebrated our 1st Anniversary Re-Launch on July 4th. We chose to re-launch on July 4th because it was a renewal and re-birth of our company with a new website, logo, trademark and branding. Entrepreneurship is the heart of the American economy and a part of the American dream. The number of women owned businesses has grown 74% since 1997. K.S.E. Spa Collections is proud to be a part of that number. To show our appreciation, we'll be having sales through the month of July. Start off by saving 40% on Bath & Body. Each order receives a free gift. Have you tried infused water yet? It's the newest health craze for those of us who are trying to live a more natural and healthy lifestyle. All it takes is a bottle (preferably glass), water and your favorite fruit, vegetable and or herb. Different versions are strawberry, lemon/lime/peppermint, cucumber, blueberry/lemon and watermelon. I'm loving the low calorie and detox infused water. It's a refreshing drink that's different from the norm. Get creative and share your favorite recipes with family, friends and me! I'm looking forward to trying some new and hydrating flavors. 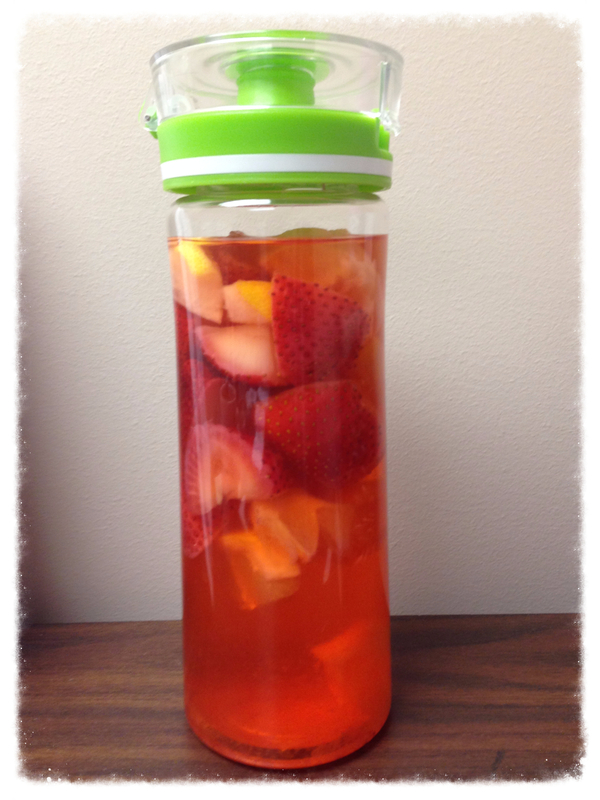 Here's my strawberry lemon infused water. Delicious! !